The popular idiom “there’s trouble brewing” might sum up the reaction we feel in that moment of dread when an aging parent or other loved one exhibits signs of forgetfulness. It may be ordinary confusion, a symptom of something treatable or, in the worst case, an early warning sign of difficulty fermenting and expected to arise in the future. Perhaps it is repeating questions, showing poor judgment, forgetting to pay bills, wandering and getting lost in places that should be familiar, losing things or misplacing them in odd places, or changes in mood. Everyone has bad days and occasional forgetfulness, but when the occasional bump in the road becomes more frequent, concerned loved ones should get the senior to a doctor to rule out other causes and, if dementia is diagnosed, get the leap on treating it early. Eventually, the condition can manifest as difficulty carrying out tasks like getting dressed, impulsive behavior, difficulty organizing thoughts, and inability to learn new things. People with severe Alzheimer’s cannot communicate and are completely dependent on others for their care. If the symptoms are mild, a move to Regency Retirement Village in Jackson can put them in a position to receive the care they need, whether it is help in Assisted Living or more comprehensive Memory Care for those needing treatment for Alzheimer’s or other dementias. Senior Assisted Living or Memory Care? 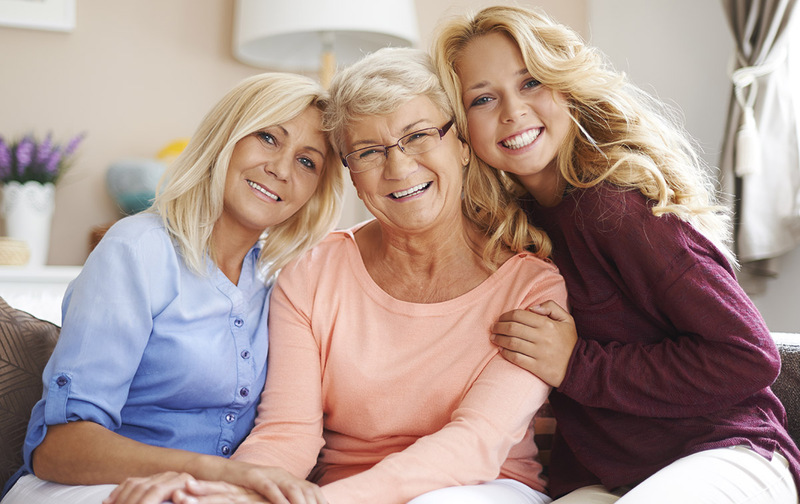 How do the services differ, and which does your loved one need? The answer depends on how self-reliant the resident is. Just as the average senior doesn’t need advanced round-the-clock hospital-type care in a nursing home, many residents do not need our Renaissance Centre until dementia has been diagnosed and an assessment of needs conducted to determine the severity of loss of memory and cognitive function. For those who are just starting to notice fuzzy moments, less care may be needed to achieve a high quality of life. The focus in Memory Care is on providing a secure environment with 24/7 licensed nursing staff on hand. Daily events and activities happen, but with a greater focus on stimulating memories. Assisted Living is better suited for those seniors who retain much of their cognitive skills but need a helping hand with the tasks of everyday life. The comforts of home combine with social interaction, but skilled medical care is not as critical. It’s still nice knowing that caregivers monitor their general health and well being, offer daily social activities, and offer assistance with medication, dressing, etc. Not at all! As mentioned, Assisted Living is ideal for those who simply need help with strenuous tasks but aren’t completely dependent on others to function and stay healthy. There’s also less of an institutional vibe in a Jackson Assisted Living Community than the hospital-like nursing homes that you may have visited a relative at or seen on TV. You need only walk through our doors and see how beautiful and active our community is to understand how Assisted Living is a completely “different creature”, so to speak. Our amenities include an on-site beauty and barber shop, chef-prepared meals, housekeeping services, fitness facilities, and more. Speaking to our residents reveals what life is like at Regency Retirement Village, from enjoying visiting entertainers to sharing in church services with fellow seniors. Frequent outings to go shopping or to eat a restaurant are a must! Doing these things with others builds a sense of social connection that is so important to maintaining our health. Whether a Jackson senior needs that caregiver assistance and social aspects or more comprehensive memory care, Regency Retirement Village wants to invite them to become a part of our very special place. Jackson seniors and their families should look deeper if trouble does, indeed, appear to be brewing in the form of odd behaviors. There’s no cure for Alzheimer’s, but it’s good to know that there’s a special place in Jackson for people who develop these conditions. Moving to Assisted Living can set the stage for moving to Memory Care if and when dementia is diagnosed and progresses. Even if a move to a senior living community like ours is not immediately in the cards, it’s a good idea to come to check it out so your loved one’s future needs can be anticipated and decisions made before some sort of incident forces the family to worry and make tough choices. If you’re a senior looking for a great community to begin the next stage of life or the family member of someone who could benefit from living with us, please get in touch with us so we can schedule a tour with no obligation. You can call us at (731) 661-9888. Meanwhile, learn more about us on this website.